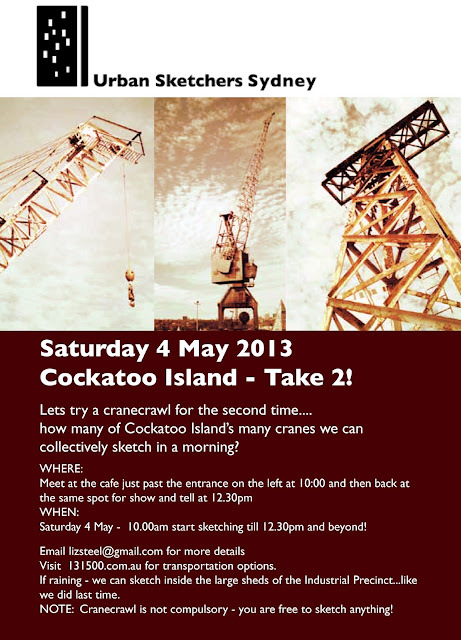 A number of people were disappointed to miss out on the Cockatoo Island event in March and it was such a wash out that we thought we would try again before winter starts. Hoping that it will be better weather this time. If you missed out on seeing this…. Chantal made a brilliant video of the day in March. Thanks Chantal! USK Sydney at Cockatoo Island - Crane Crawl. Saturday 02 March 2013 from Chantal V on Vimeo.